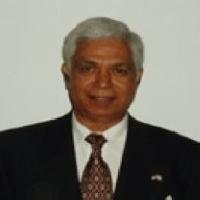 Risk management expert, Subash Murray, has over two decades of leadership and consulting experience. His expertise lies in fraud investigations, compliance, due diligence (with special reference to targeted companies in M&A situations with boots on the ground), forensic and investigative accounting services, and third and fourth party risk management in relation to Foreign Corrupt Practices Act (FCPA), UK Bribery Act, OECD guide lines and Ley de Anti-corrupción de México legislations. Subash caters to exporters, small & medium cap, professional as well as nonprofit organizations across pharmaceutical and medical devices, oil & gas, mining, steel, petrochemical, electricity, marine, pulp & paper, textile and construction industries located across UK, Europe, Asia, Caribbean and South America. A Florida State Licensed Private Investigator, Subash owns and manages Miramonte Central Florida Inc, as well as, Management Concepts Facilitators. In the past, he has worked with the Big 10 firms in domains of public accountancy, auditing and taxation. His work focused on compliance and ethical standards in detection, deterrence and prevention of Fraud, Embezzlement, Malfeasance and Asset misappropriations (FEMA). Member of Florida Association of Private Investigators and Florida Association of Licensed Investigators, Subash has participated in various courses and seminars on SOX compliance, audit procedures, healthcare & insurance frauds, white collar crimes and workmen’s compensation fraud. His writings feature regularly in Newsletters for Hispanic Chamber, Orlando on topics related to fraud and embezzlement. A Fellow of the Institute of Chartered Accountants of India, Subash earned a Post Graduate Diploma in Managerial Sciences at the University of Greenwich, United Kingdom. An Accredited Member (CFE) of Association of Certified Fraud Examiners (ACFE), USA, Subash is also an Accredited Executive of the Institute of Independent Business (IIB), New Jersey. He is an adjunct lecturer with South Bank Polytechnic and The City University, UK as well as University of West Indies, Jamaica. In addition, he is a Member of Honorary Board of Advisors at Seminole State College and a Member of Advisory Board Council SBDC at University of Central Florida. I would need to know about your organizational structure, operations, locations, key personnel, their basic duties, responsibilities, your third and fourth parties, products and/or services, markets you serve, your needs, your concerns, your problems, your current, short, medium and long range plans. If accepted, I will lay out a plan of work with gap and other analysis. Assets are classified as TANGIBLE and INTANGIBLE rather than soft and hard assets. Tax authorities who dictate depreciation rates and allowable allowances according to their rules classify in the same way.